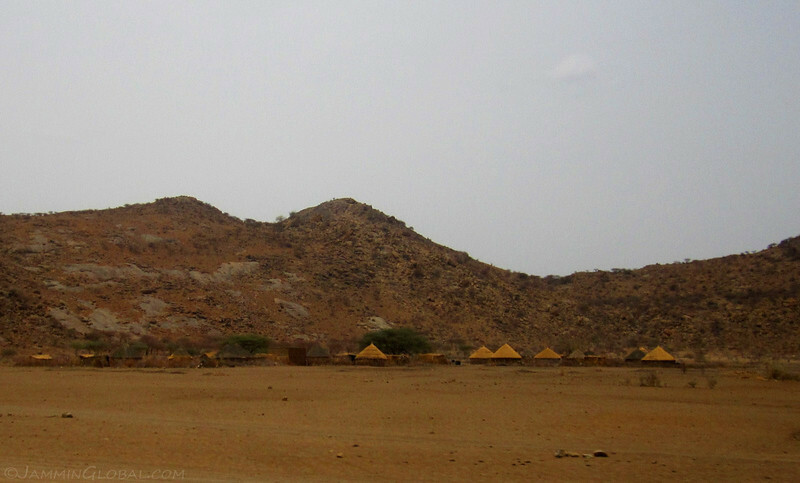 Sudan was super hot and while I enjoyed the friendly populace of this desert state, I was ready to escape from the heat to the cool mountains of Ethiopia. 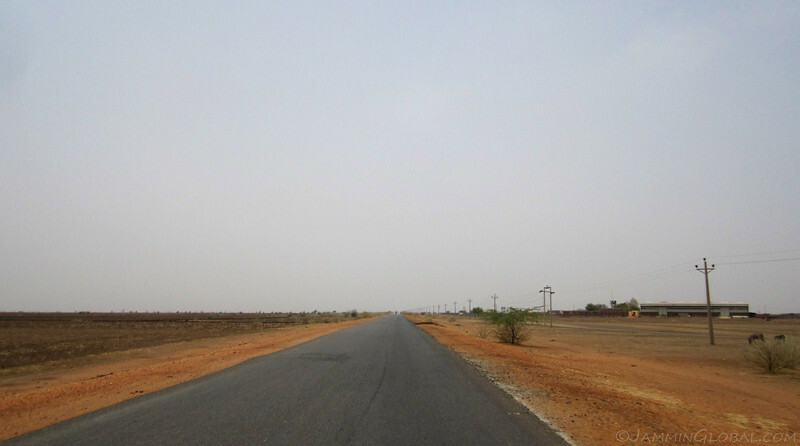 Khartoum marks the southern edge of the Sahara and I rode through the transitional region of the Sahel before seeing green as I neared the border with Ethiopia. 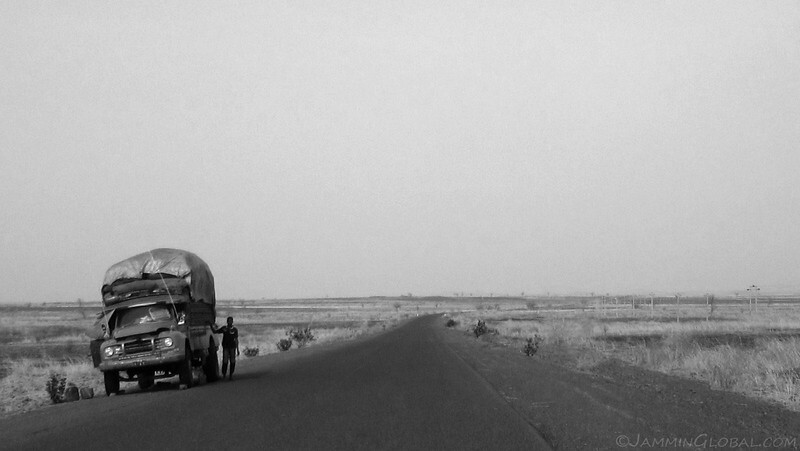 The start of a long day on the road, heading southeast out of Khartoum, along the Blue Nile. I thought I would get close to the border and spend the night somewhere, but I ended up riding straight into Ethiopia by the end of day; a good 580 kms (360 mi) away. Taking refuge at a petrol station as the day warmed up in the town of Wad Medani. An interesting facet of overland travel is learning all the different names for petrol. 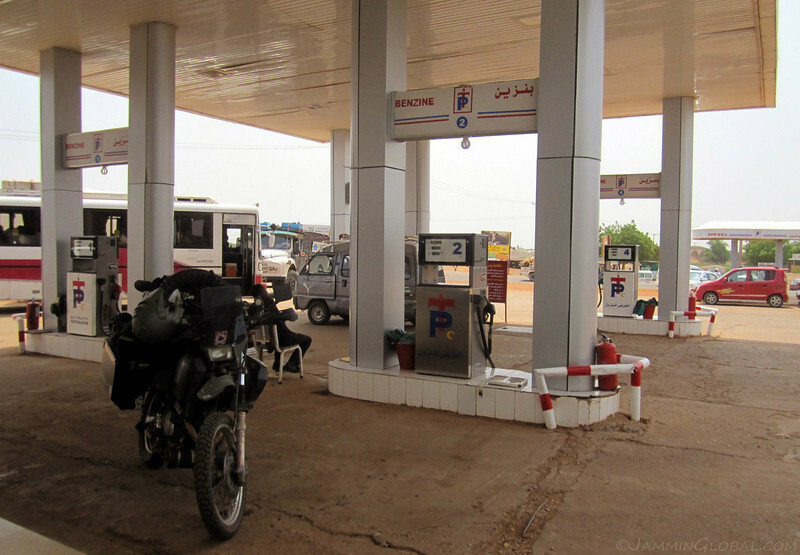 Here in Sudan, they refer to it as Benzine, which I think comes from the German’s. In English, it’s technically not the correct use of the word as benzine refers to petroleum ether, which is a different product than petroleum, but once ingrained in a culture, proper nouns are hard to change. The flipside is that diesel is referred to as ‘diesel’ in most countries (except Portuguese-speaking areas, where it’s confusingly called ‘gasoleo’ – not to be confused with gasoline). That’s because diesel fuel is named after a particular person, Rudolf Diesel, unlike petroleum, which is named after a process. This helps me in situations where the pump attendant thinks my massive-looking bike probably runs on diesel, like a truck, and I have to insist that no, it’s runs on petrol (using the local word for it). I turned east from Wad Medani, moving away from the Blue Nile and heading to the junction town of al-Qadarif (Gedaref). After seeing flatland for the past few weeks, I was thrilled at these small hills and the sight of trees. It whet my appetite for the massive mountains of Ethiopia coming up. 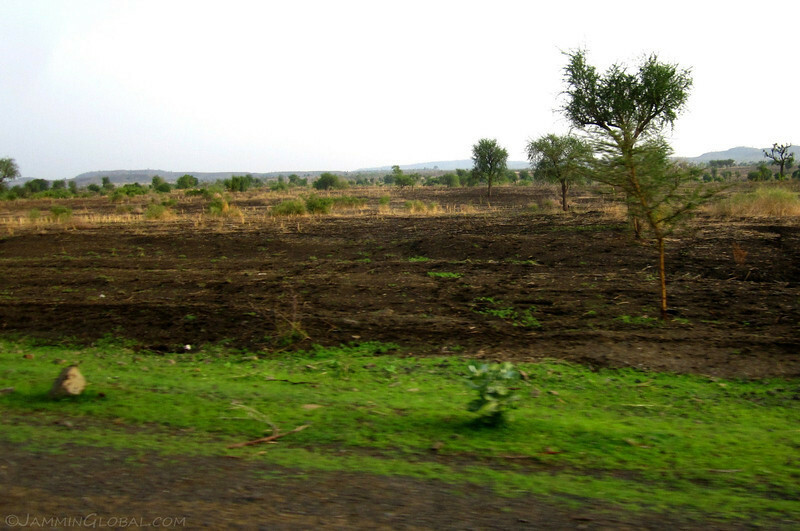 North of Khartoum, there weren’t any settlements outside the major towns, or at least what I could see from the road. So, I was happy to see this typically-looking African village with cone-shaped roofs on round huts. This also signaled to me that I was finally entering the region known as Sub-Saharan Africa, which is everything below the Sahara Desert. While the countries in the Sahara are definitely part of the continent of Africa, for me, that image of ‘Africa’ relates specifically to Sub-Saharan Africa. I think this is partly because a big chunk of my childhood was spent in Southern Africa (Zambia). Taking a break under the little shade of these acacia trees; the first sighting of many more to come in the dry areas of Sub-Saharan Africa. 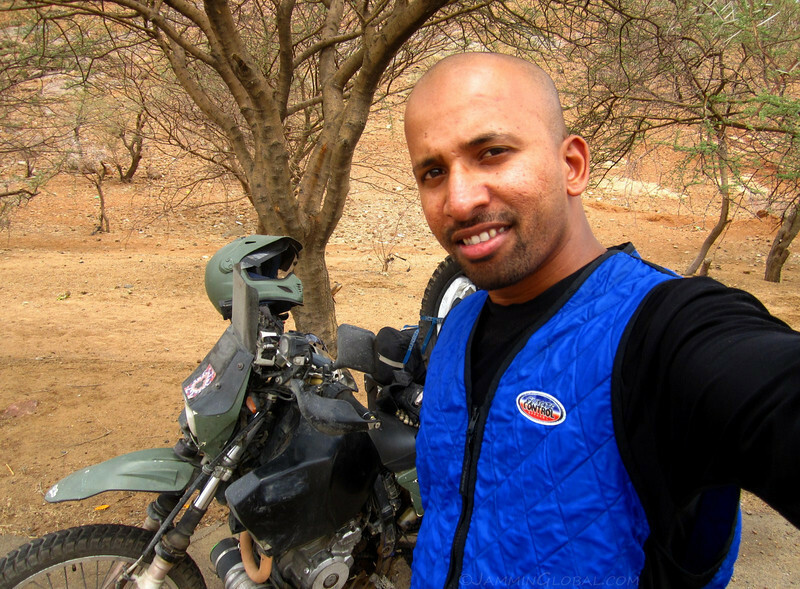 I wore this blue cooling vest all through my ride through Egypt and Sudan and it’s an excellent piece of gear for keeping my body temperature a few degrees cooler than riding without it. It’s work on the principle of evaporative cooling. The vest is quilted and after soaking it in water, I wear it under my jacket and as I’m riding, the flow of hot air evaporates the wetness of my core, removing heat from my skin. It focuses on keeping the core cool so that as your blood circulates, slightly cooler blood is taken to your extremities. The vest stays wet for about two hours of riding, depending on the humidity. In northern Sudan, it lasted only an hour but that one hour of respite was much welcomed. The northern edge of Sub-Saharan Africa is defined by the region knows as the Sahel, which is a transition zone from the deserts to the savannahs and forests. 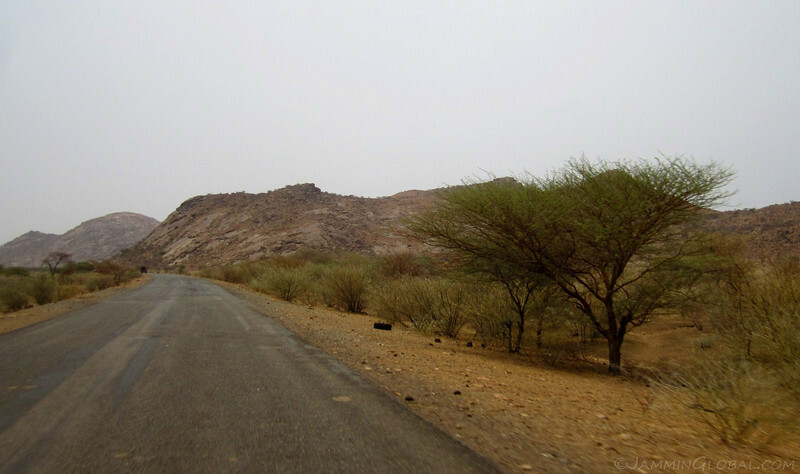 The Sahel wasn’t that pronounced on this ride in southeastern Sudan, due to the abrupt rising of the Ethiopian highlands just a hundred kilometers or so south of here, but I expect to be riding through a lot more of it in Western Africa. I got to the busy town of al-Qadarif by mid-afternoon and after a futile search for affordable accommodation, I decided to just head straight to the border town of al-Qallabat, about 160 kms (100 mi) away. 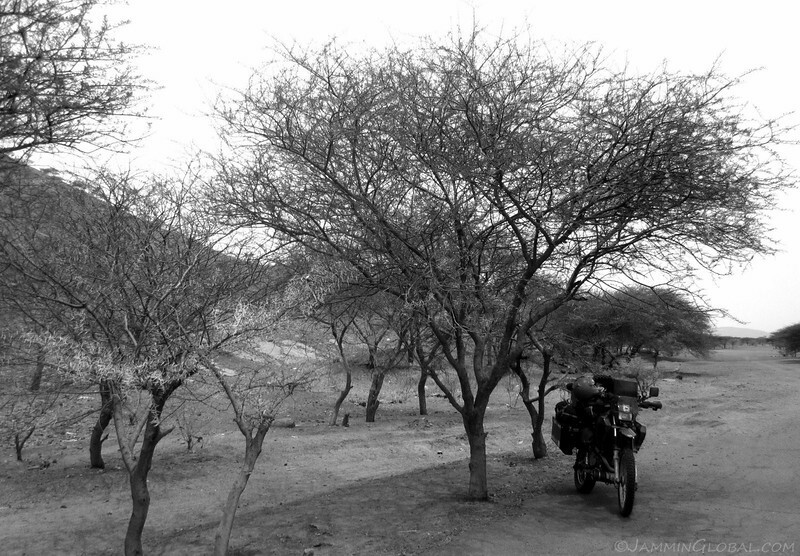 While there, I had a refreshing snack of tasty mangoes that were brought up from the fertile regions south of here. 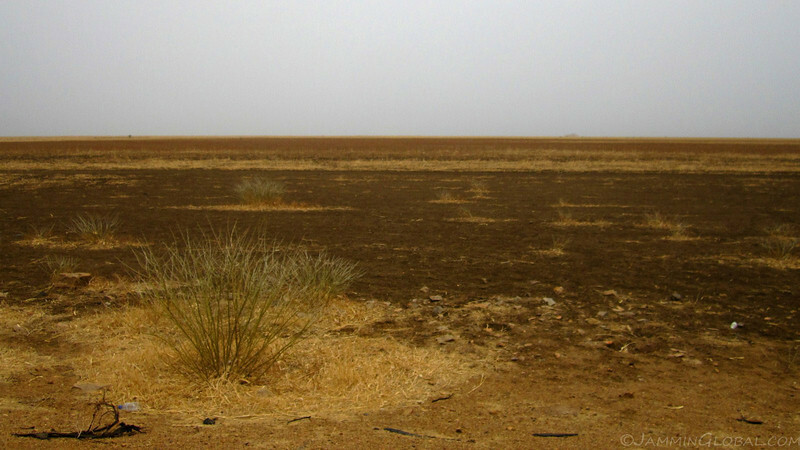 They say the southern parts of Sudan and most of South Sudan have extremely fertile soils and have the capacity to produce enough food for this whole region of Eastern Africa, but sadly, due to on-going instability, these areas are heavily dependent on food aid. Passing another old-school Bedford truck, temporarily broken down by the side of road on the way to the Ethiopian border. Being an automotive enthusiast, it’s a real pleasure for me to be passing through countries where vehicles that would be in a museum in the developed world are still toiling away in the ‘field,’ a couple decades past their retirement. Having a mechanical engineering background, I really appreciate the fact that back in the day, products were designed to last. This is in contrast to our current global disposable culture, where a modern product is only designed to last through its warranty period, if that. Greenery! I was so excited to see grass and green leaves after being inundated by the browns and yellows of the desert sands. I could smell it in the air and had a big smile on my face. 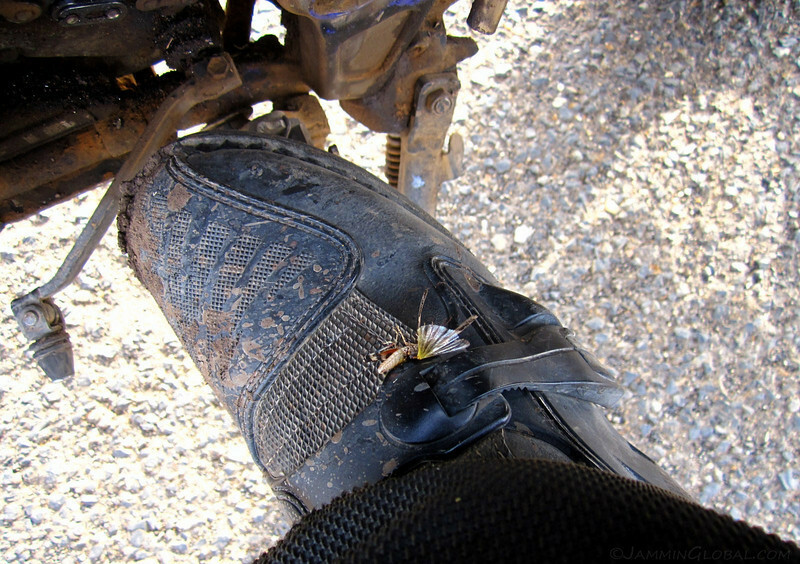 Noticing a big insect that got caught in my boot buckle; another sign that I was heading into an area of more vegetation and wildlife. 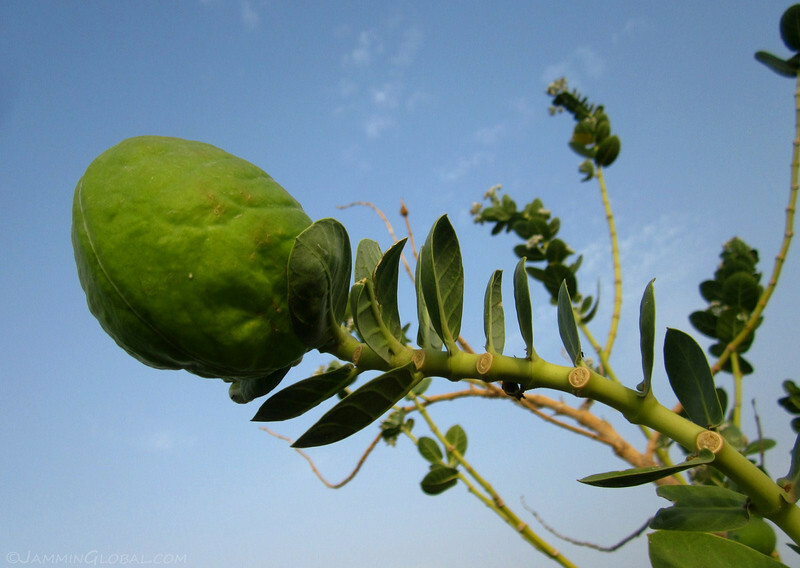 A hard, green flower of this plant that grows in the boundary between the desert and the highlands of Ethiopia. I’ve seen them before in India and they were fun to pop as a kid, but I’ve learnt now to live and let live. 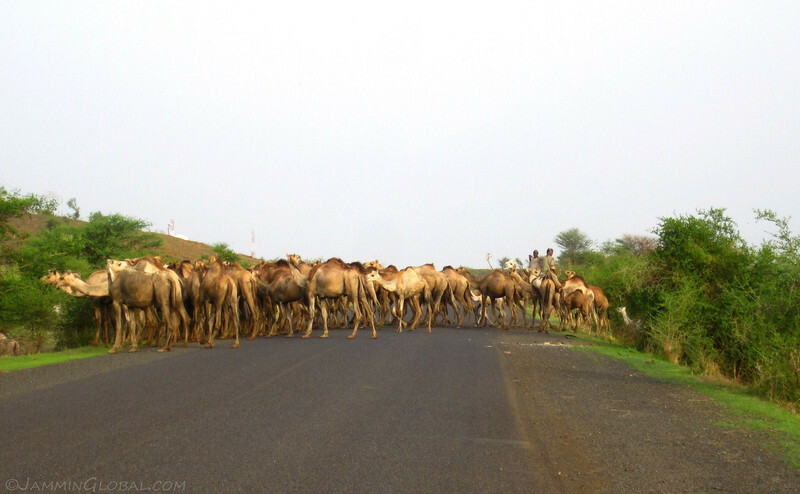 Camel crossing. These desert beasts are so adaptable that I wasn’t surprised to find them here as the elevation rose. I was now at 720 m (2,360 ft) as I neared the border and welcomed the slight chill in the air that comes with rising altitudes. 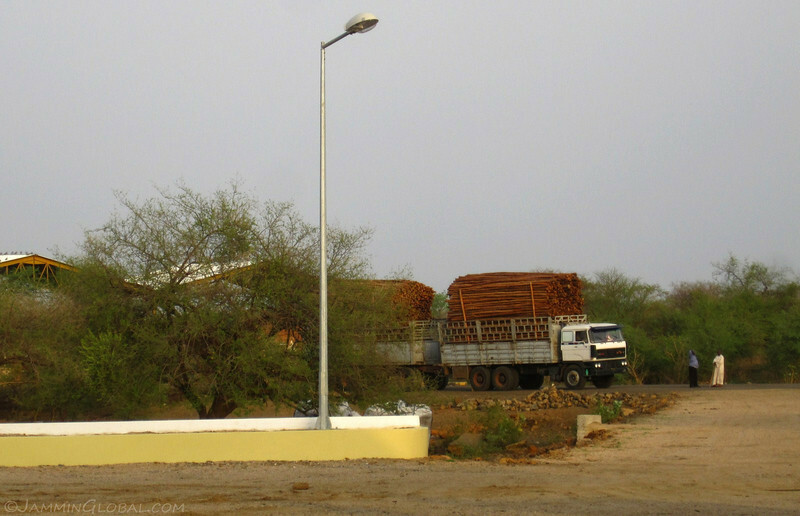 A truck loaded with fresh timber from the highlands of Ethiopia. 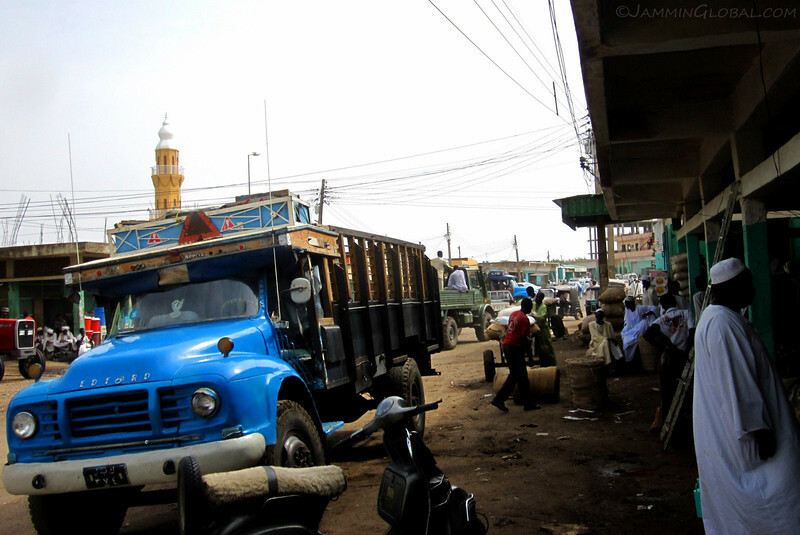 I had made it to the border and thought I would spend the night in al-Qallabat, the town on the Sudanese side. But not finding safe-enough accommodation and being pressured by border hustlers, I decided to rush through the border crossing and spend the night on the Ethiopian side, in the town of Metema. I got processed through the Sudanese side, which took longer than expected due to the extra bureaucracy that Sudan loves, and ended up clearing Ethiopian immigration just before the office closed, but I didn’t make it through Ethiopian customs. So, I spent the night in the Ethiopian customs compound, which was an interesting experience. I traveled only two weeks in Sudan, which was much shorter than I had originally planned, but the heat was a driving factor. It was a short time for such a massive country but I felt satisfied with my time here, especially due to my memorable stay with the fisherman of Quikkah. I was able to concur with all other traveler’s opinion of the friendliness of the Sudanese people and wished I had passed through here at a better time of the year (winter) when the temperatures wouldn’t be so stifling. Sudan was one of only two countries (the other being Argentina), where I felt completely relaxed about bike and personal safety. There were many times where I would leave my helmet and gloves on the bike as I took a juice break and while keeping an eye on the bike, I noticed many locals walking past and not one of them was interested in swiping my gear left in the open. I couldn’t imagine doing this in Egypt or many other countries (even developed ones). My theory on why this is the case in these countries is that they both had a golden age a couple decades back, which I believe bred a sense of nobility and respect in the culture. And even though the economies might be struggling now, that aspect of their culture (respecting personal property) hasn’t been lost. Being sparsely populated (outside metro areas) also might have something to do with it. I have a feeling that it’s a similar situation in Iran.